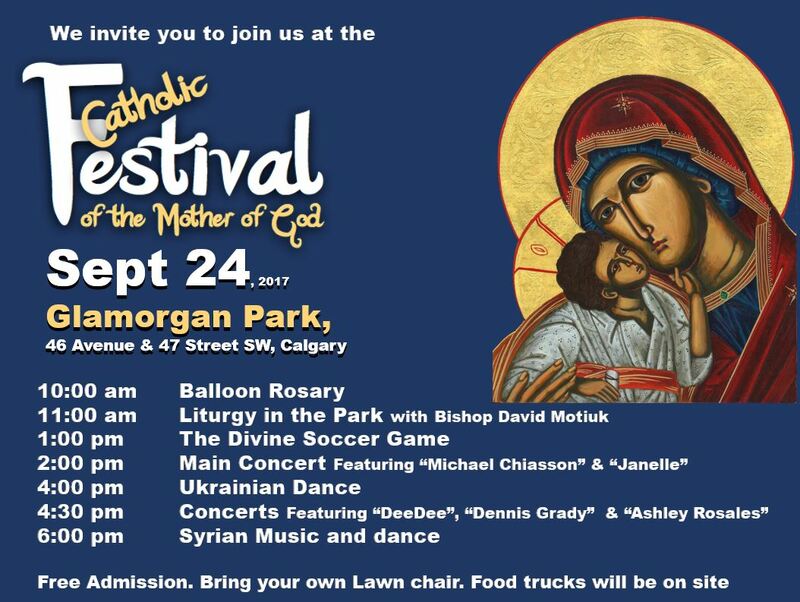 Invitation to the Catholic Festival of the Mother of God: September 24th, 2017 at Glamorgan park in Calgary. Come enjoy a fun, inspiring day with us in the park. We will have free live music, dancing, sports, prayer, and more. 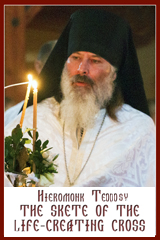 In this festival we shall give glory to God, dedicate ourselves to Him, get to know our neighbors and friends better, learn about each other, and also we shall thank God’s Mother (Mary the Theotokos: The Mother of Jesus) for always helping us grow closer to Her Son. Just like at the wedding of Cana (which you can read about in the Gospel of John), Mary interceded on behalf of the couple. Today, She continues to intercede for us bringing us all closer to her Son, our God as is clear through her many wonderful interactions with us. It’s important to note that we do not worship Mary, but we do respect her greatly. She has been chosen by our Heavenly Father to bring forth Christ into our world. We recognize that she tirelessly guides us all to fuller participation in God’s Divine Nature (2 Peter 1:4). This festival is being put together by several Eastern (Byzantine) Catholic Churches, for everyone in the whole city. 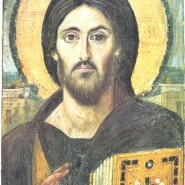 Byzantine Catholics are different than Roman (Western) Catholics but in communion with them. We have a unique, ancient, beautiful, and profound spiritual and liturgical tradition, which is incredibly relevant to today’s society.